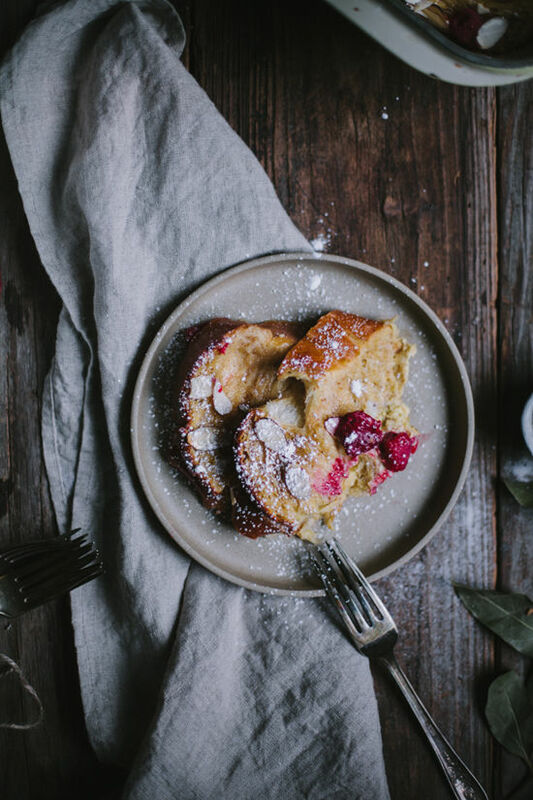 D E S I G N L O V E F E S T » BAKED FRENCH TOAST! • In a large bowl, whisk together the eggs, yolks, milk, honey, vanilla, lemon zest, cinnamon, and nutmeg until smooth. 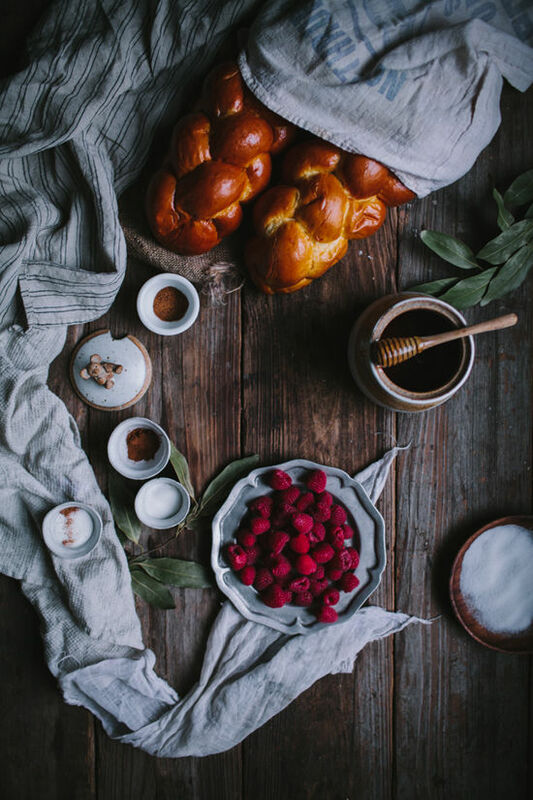 Place several slices of the challah bread in the bowl and allow to soak for 5 minutes. Arrange the slices in a large greased casserole pan, and repeat this process until all of the slices have been soaked. Pour the remaining mixture into the pan. 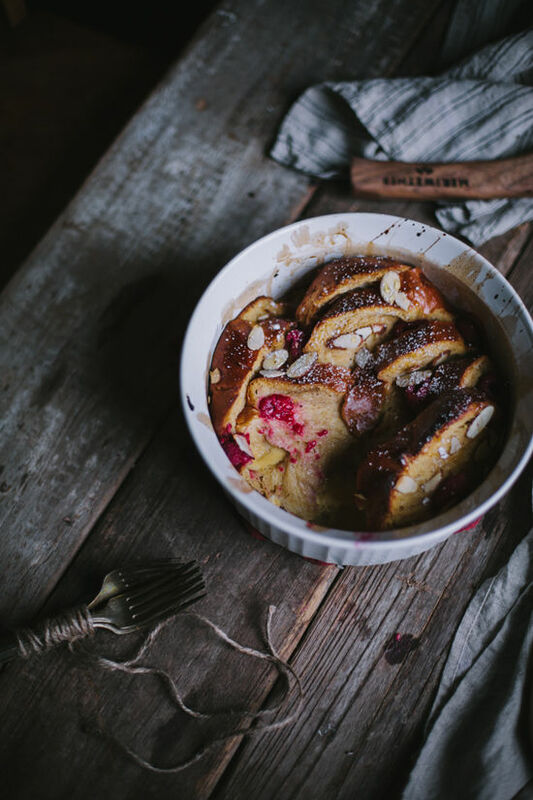 Place the raspberries and almonds between and on top of the challah slices in the pan. Cover and refrigerate for 1 hour to allow the bread to soak up more of the mixture. • Preheat the oven to 375 degrees Fahrenheit. Place the pan in the oven and bake for 30-40 minutes, or until the tops of the slices are slightly crisp when poked and more golden at the top. Remove from the oven and serve alongside maple syrup, butter, and powdered sugar. Mmmm delicious photos… the tsoureki looks so fluffy too! oh my this looks absolutely amazing and what beautiful photography as well! Yeah- I’m so trying this today! 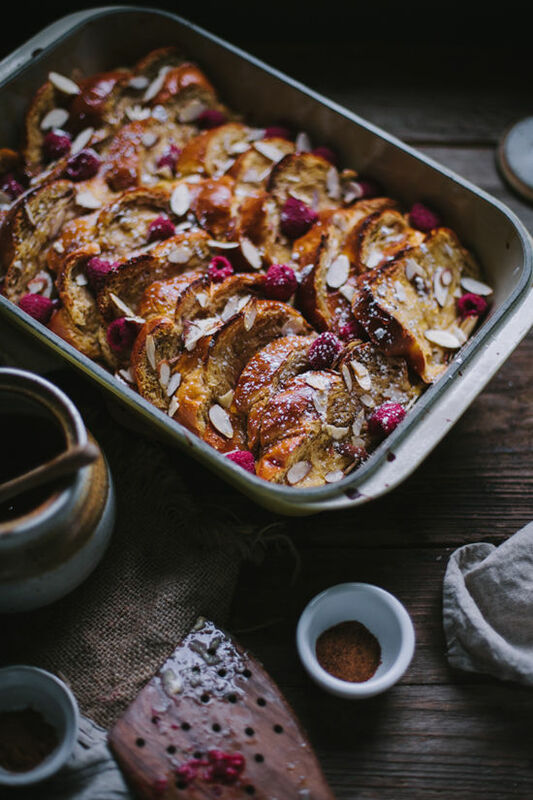 I love baked French toast but this one just looks amazing! Also I am so impressed with these photos- I really need some food photography tips- mine always turn out a little…yucks. Anyway, thanks for the recipe! Well this looks like just about the best thing ever! I never would have thought about baking French Toast, but I bet that it brings out the flavors in a really nice way. These photographs are beautiful and so rustic looking! I can’t get over how absolutely perfect all your pictures are! This makes my blueberry oatmeal look sad! Need to find an occasion for this! Looks AMAZING! I have never tried baked french toast…I think you just made a believer out of me with those photos, though. That looks so delicious. 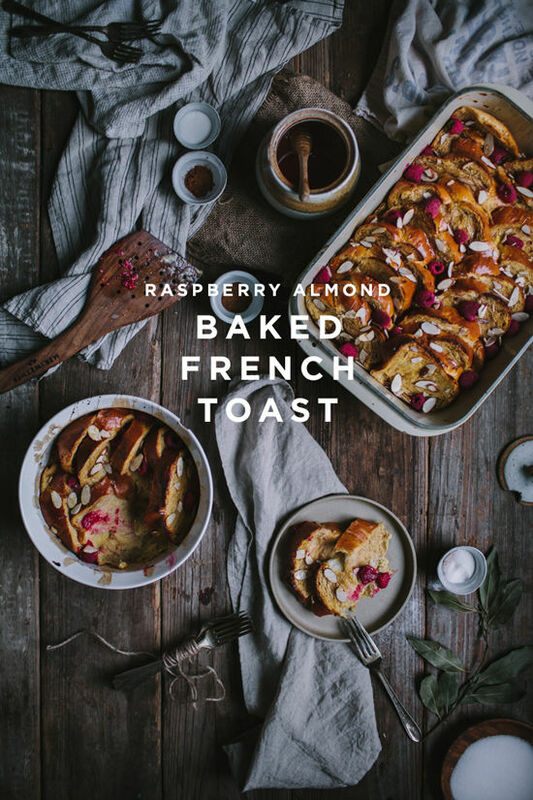 I love the addition of raspberries and almonds, it’s very unexpected. I love Eva’s work!!! This looks absolutely delicious! This looks absolutely delicious! I am a huge french toast fan and I NEED to try this. Thank you for sharing. never thought to make this with challah bread, it’s probably so amazing!! This recipe looks fabulous, but where is the Pin it logo so that I can easily stick it in my Pinterest account?